Located at a 1470 m altitude, the charming village of La Grave sits at the base of La Meije, one of France’s most respected and beautiful mountains. La Meije is so named as locals used to call it ‘Oielle de la meidjour’ (the midday needle), and you can set your watch by the sun passing over the apex of the mountain at noon every day. With an exciting and notorious skiing terrain, gorgeous surroundings and plenty of amenities close by, La Meije is a resort that provides for all interests and ages. Stepping out of the world-renowned rainbow of cable cars, heading from La Grave up to an altitude of 3200 m, visitors to La Meije enjoy stunning panoramic views over the village and surrounding mountains. Skiing in La Meije is not for the faint of heart. Whilst there are a few basic, easy runs on the other end of the village, most of the skiing here is off-piste, offering challenging descents for even the most experienced skiers. 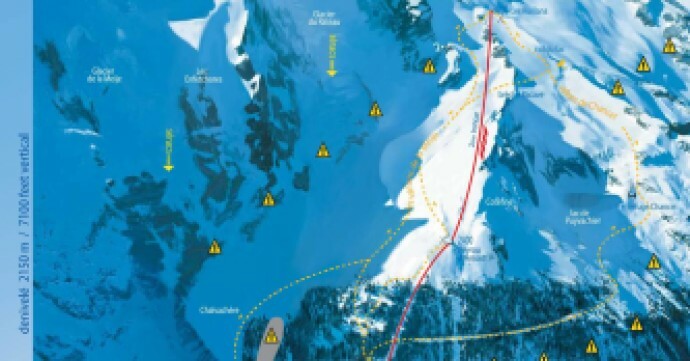 This terrain is not patrolled, either, meaning that those who are not confident prefer to stick to the smaller runs. Ice climbing is also available here, with the possibility of visiting an ice cave in the summer months too much of a temptation for many visitors to miss out on. La Grave is ranked amongst the most beautiful villages in France, with a stunning natural, almost unspoiled, setting, and offers a wealth of historical sights and attractions alongside skiing and snowboarding. The village used to be surrounded by a fortified wall, which has all but disappeared now, although many of the village’s other original, historical features remain. La Meije enjoys a small permanent population of under 500, giving it a community feel that helps residents and visitors to feel safe and welcomed when they arrive. Of course, this number increases during the winter season, when all of the resorts in the surrounding area enjoy a huge influx of holidaymakers, skiers and snowboarders. La Meije being one of the more intimidating terrains to ski, visitors tend to be older and more experienced. 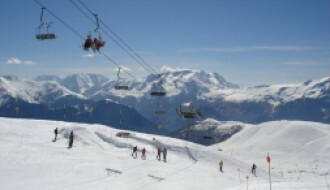 La Meije is also within easy reach of Lex Deux Alpes, a large, family-friendly skiing resort which is often taken in as part of a vacation to this area. A variety of shops, restaurants and other attractions are available here, and La Meije is home to two mountain restaurants of its own. For those who are not interested in skiing, or want to take a break, there are various other things to do in La Meije throughout the year. There are traditional bread festivals, where you can participate in making ‘boiled bread’ in autumn or ‘black bread’ in late summer. The village has a plethora of shops and crafts to survey, including delicatessens selling delicious cheeses and boiled meats and lots of handicrafts either to buy or to participate in. In the summer months, hikes around the mountain and surrounding areas are available, starting at Terraces, Chazelet, Ventelon and Hières, small hamlets situated just above La Grave. These hikes are popular and offer a different way to see the natural beauty of the area, cows and sheep, and budding grass and plants. The Ecrin National Park is another popular day out, offering hikers more than 740km of mountainous paths, as well as gorgeous views and a wealth of wildlife including chamois, golden eagles, ibis, foxes and squirrels. Full of character, La Meije boasts stone houses, narrow streets and unspoiled architecture. There are two religious’ buildings, and the Notre-Dame-de-L’Assomption church is listed as a historical monument. This, alongside the Pénitents Blancs chapel and the cemetery, forms a stunning backdrop for the mountain itself, that should not be missed. After decades of back and forth with investors, during which time there were concerns that the resort would have to close, SATA, the company who run the ski lifts in Alpez d’Huez stepped in and signed a 30-year contract in 2017 to maintain and update the area. 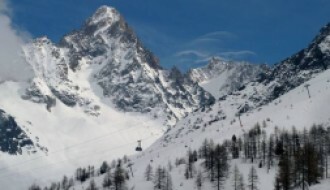 A new gondola is being installed and a third stage to the Dome de la Lauze will be opened by 2021, giving skiers further access to the highest peaks of the mountain. With modernisation to be completed all over the area, this is a prime time for buying a property in La Meije, as prices and interest in the area are likely to rise and any investment guide in La Meije should show an upward trajectory in property ownership over the next few years. Various ski chalets and modern properties are available, but some of the most interesting and beautiful properties are the traditional homes in the village. Boasting snow at the peak all year round, historical snow reports in La Meije suggest that there is always good skiing and snowboarding to enjoy, with an average base depth of 30cm. February and early March tend to offer the best Bluebird Powder days when it is sunny and clear with a light wind, but these days are to be found all the way from October to early May. View the latest weather and snow reports on the resort page here. 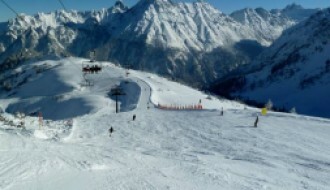 It takes no more than 40 minutes to reach the neighbouring ski resorts of Les Deux Alpes, Alpe d’Huez and Serre Chevalier. La Grave enjoys easy access to schools and supermarkets which are all less than an hour away. The nearest airport is Grenoble/Isere which is 1hr 30 away.